Great post! I actually just set up a new 10 gallon tank tonight with some eco complete as I had a blast using it in my 29G. I haven't looked into the ADA stuff as the ecocomplete has the look and nutrition for my plants that I've needed so far. Keep up the good work! Your blog is one of my favorites. I disagree on the sand issue, I find that aquariums that use sand require significantly less substrate depth than aquariums that don't (I have had 2 30"+ swords growing in about half an inch of sand for 2 years. They bloom annually and send flower spikes to the ceiling). I also find that one of the tricks to sand as a substrate is the use of fish and inverts to keep it aerated. My favorite is horse faced loaches. as they do an excellent job keeping the sand aerated. Trumpet snails, coolie loaches, and larger corydoras work well too. The best aerators are dojo / weather loaches but they are too big for most plants and uproot them constantly. Amazing post! Good work! I had your blog in my favorites. Hello! I'm a hobbyist from Singapore, and enjoy reading your blog. Hope you don't mind if I link you! and linked to your substrate entry. Really great information and helpful! We are about to set up our 55 gallon aquarium. I will visit again and thanks again for the helpful entry! Would just like to add some extra information about the gravel Flourite. Although it is a decent plant gravel, I would just like to emphasize the drawback you already mentioned; the cleaning. It is extremely frustrating and takes many many hours to get it to a usable clean state. The first plant gravel I purchased, I rinsed and cleaned and was shocked at the pitch black color the gravel produced. After an hour of so, I thought I had cleaned it enough and put it in the aquarium with the water. Imagine my surpise when I saw the water was just as dark. Frustrated, I emptied out the water and took the gravel outside and cleaned it further. It took hours and hours with multiple strainers and hoses. Finally, I put it back in the aquarium, and to my much dismay, was still slightly muddy. Further more, the slightest disruption of the gravel(siphoning, etc.) would send a cloud of blackness up into the water. Finally, I emptied it out and took the gravel out and bleached it(A horrible mistake, but I was a novice). It did get rid of the problem, but caused many more, so I suggest not doing it. Anyway, point is try not to get Flourite( I know that major retailers such as Petco and Petsmart only carry this brand of plant gravel, but go elsewhere) and save yourself much frustration and time. I have Florabase mixed with a small gravel in both my 29 gallon, and ten gallon, and so far have noticed that the tank clouds easily when the substrate is disturbed, and the filter clogs on my over the back filter very quickly. However, the corydoras in my 29 gallon couldn't be happier. 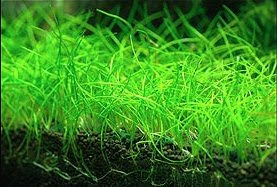 They can root around, and dig for foodstuffs that collect in the substrate. I've had the tanks set up now for a while, but don't look forward to breaking the tank down in the future to replace the florabase currently in it. A suggestion on removing the substrate would be to gravel vacuum out the substrate until the tank is bare when needed, and to slowly add new substrate to reduce clouding. I know in heavily planted aquaria this may be out of the question, but it may be better than removing everything, and starting over. Ive been using flora base in my tanks for a while now with good results. Personaly I do not feel the yearly change is an issue as most of the aquascapes I try to achieve have long since past their peak by this time (grown out). Does ADA aquasoil or ECO complete have an unlimited suppy of nutrient? does the exhaustion rate not depend on how heavily planted the aquarium is and which plant species are used? If the issue is simply that of the substrate breaking down or compacting I can honestly say ive seen no evidence of this after 18 months use, however I do not keep Corydoras catfish of other gravel shifting species. I may be tempted to use ECO complete in my next tank as it is so highly favoured but im in no hurry to remove the Flora base despite the manufacturers recommendation. I currently have a healthy lush green carpet of HC growing im my old Flora base. I hope I don't sound too silly. I have a 24 gallon tank and have never had live plants. I would like to start some. My question is it too late to add a substrate. My tank is established but the gravel I have on the bottom is too large I think for plants. I was thinking of have two 'zones' in the tank, one half leave the gravel that is in there, and on the other half add a better substrate and plant it. Am I crazy? i'm thinking to use Aqua Soil from ADA. do i need the Power Sand and substrate additives (both from ADA)as well? coz they both are very expensive. I'm about to start a new 20 gal with 110-130 watt compact fluorescent lighting, an eheim 2213 filter and DIY CO2 with a glass diffuser. The only thing I have left to decide upon is the substrate--I've never used true plant substrate before, just small-grain gravel. I'm stuck between buying eco-complete and splurging on ADA soil and I was wondering if you've had a chance to experiment any further with the ADA soil? My local shop owner uses the ADA substrate in his amano style tanks and seems to like it a lot. Do you (or anyone else) have an opinion on this yet?